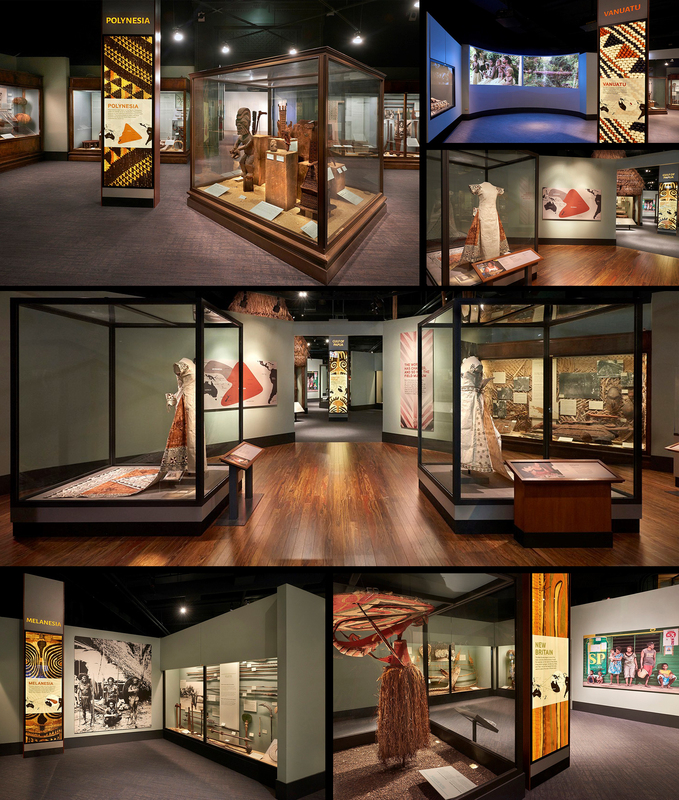 Ravenswood Studio fabricated these lighted standalone pillars for each Pacific Island region and culture in one of the older galleries of the Field Museum. 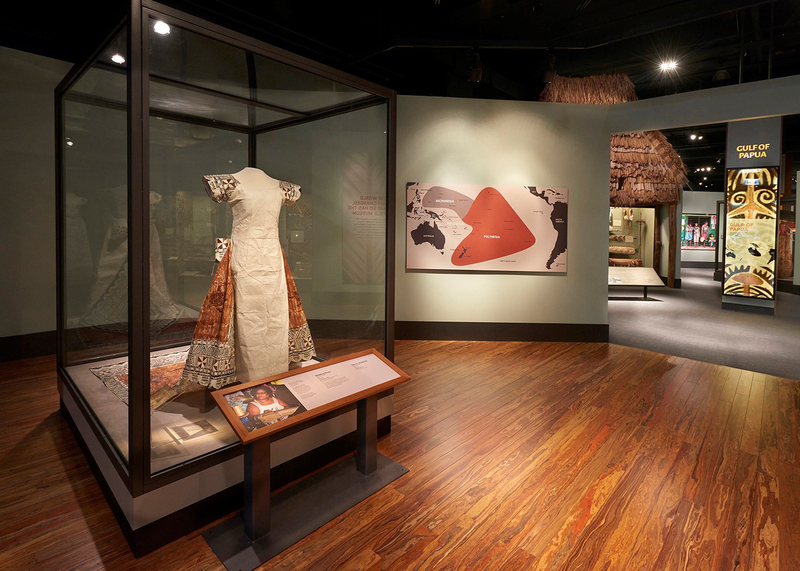 This gallery has one of the world’s best collections of Pacific Islands artifacts. Luci Creative used the beautifully crafted artifacts as inspiration for details and designs of the pillars. Besides representing each culture, they were designed to act as a way finding tool within a gallery that has multiple entry points beyond the main one. The entry off of the great hall is where we installed the giant wall map of the Pacific Ocean.